Search 100+ job boards at once to find your next job fast. It's that easy. Adzuna Job Search is the only app of its kind you will ever need, and it is 100% FREE. 1. Install the free Adzuna job app. 4. 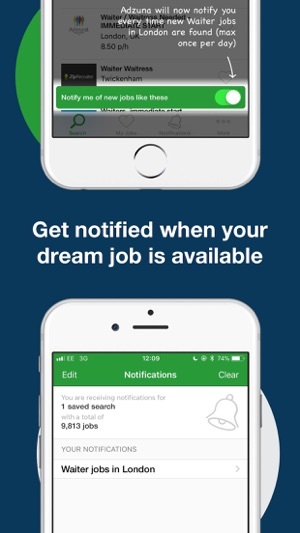 Check out the jobs you like with just one tap! Our mission is to be the best place to start looking for a job. We search thousands of websites so you don't have to and bring together millions of ads so you can find every job, everywhere, via Adzuna. We provide smarter search options and powerful data about the job market, giving you the information you need to take control of your career. 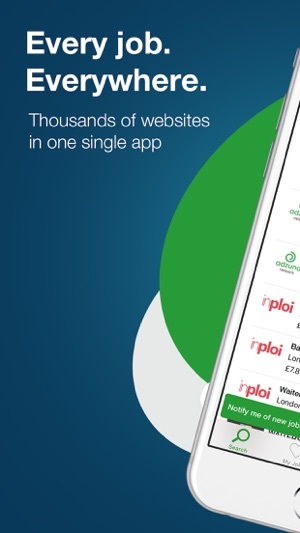 Download the Adzuna Job Search app for free today. We're excited to release the latest update of the Adzuna Job Search App, with the most efficient version of the app, ever. 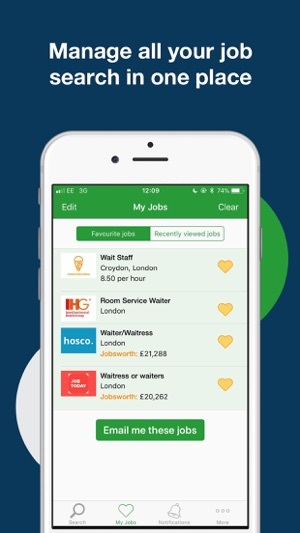 Easy search function on app and even easier functionality to mark favourites on the go meaning I could complete applications with the employer when more convenient. Secured my job because of Adzuna. There are lots of job search apps out there. This is definitely one of the better ones in the UK due to the volume of jobs and simple interface.